This restorative hand cream can be compared to an “invisible glove”. It shields and protects the skin from harmful environmental elements, abrasions, irritants and minor burns often linked to premature aging. 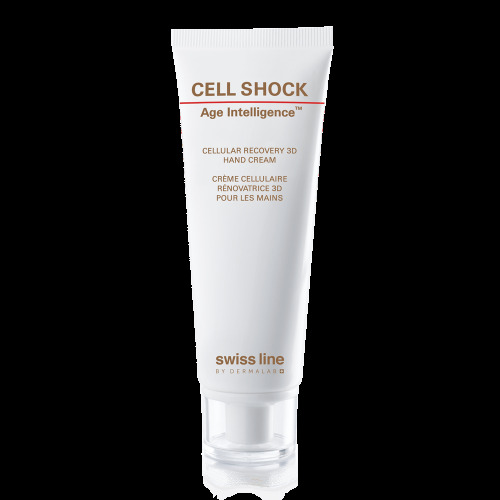 Additionally, it boosts cellular renewal and maximizes the skin’s own self repair mechanism, increasing moisture levels and elasticity, and making the skin look younger. Re-epithelialization occurs simultaneously as the damages stemming from daily life - abrasions, topical irritations, minor burns and extreme temperature exposure - are minimized or counteracted and the skin’s own repair capacity is maximized. Cellactel 2 complex acts in synergy with all other ingredients to boost vital skin functions and increase cellular metabolism. Water/Eau, Glycerin, Hydroxystearic/Linolenic/Oleic Polyglycerides, Butylene Glycol, Caprylic/Capric Triglyceride, Myristyl Myristate, Hydrogenated Palm Kernel Glycerides, C12-16 Alcohols, Madecassoside, Hydrogenated Palm Glycerides, Hydrolyzed Soy Protein, Hydrolyzed Wheat Gluten, Hydrogenated Lecithin, Palmitic Acid, Bellis Perennis (Daisy) Flower Extract, Peucedanum Ostruthium Leaf Extract, Ceratonia Siliqua Gum, Biosaccharide Gum-4, Retinyl Palmitate, Helianthus Annuus (Sunflower) Seed Oil, Hydroxyethyl Acrylate/Sodium Acryloyldimethyl Taurate Copolymer, Sodium Hyaluronate, Ascorbyl Palmitate, Tocopherol, Sodium Hydroxide, Ascorbic Acid, Citric Acid, Ethylhexylglycerin, Xanthan Gum, Sorbic Acid, Potassium Sorbate, Sodium Benzoate, Phenoxyethanol, Polysorbate 60, Sorbitan Isostearate, Fragrance, Sodium Dextran Sulfate, Benzyl Salicylate, Coumarin, Linalool, Hydroxyisohexyl 3-Cyclohexene Carboxaldehyde, Hydroxycitronellal, BHT, PEG-8, Disodium EDTA. Cellactel 2: CELL SHOCK’S unique cell-regenerating complex, boosts vital skin functions and increases cellular metabolism to “lift” the skin and visibly reduce wrinkles. Madecassoside®: a patented ingredient that rebalances the skin’s natural renewal capacity and restructures the extra-cellular matrix. The result is more resilient, younger-looking skin. Masterwort extract (Peucedanum ostruthium L): native to the Swiss Alps, this plant extract stimulates cellular regeneration and restores cell function, as well as helps repair stressed skin. The Bio-Molecular Skin-Patch: is comprised of a high molecular weight polysaccharide, obtained from bio-fermentation. This polysaccharide has a wide dispersion capacity on the skin’s surface and creates an invisible matrix that has a remarkable keratin-binding effect, allowing the skin to breathe normally while shielding it from the elements. Smooth a small amount onto clean dry hands. Massage from the back of the hands up to wrist paying particular attention to the nails and cuticles. 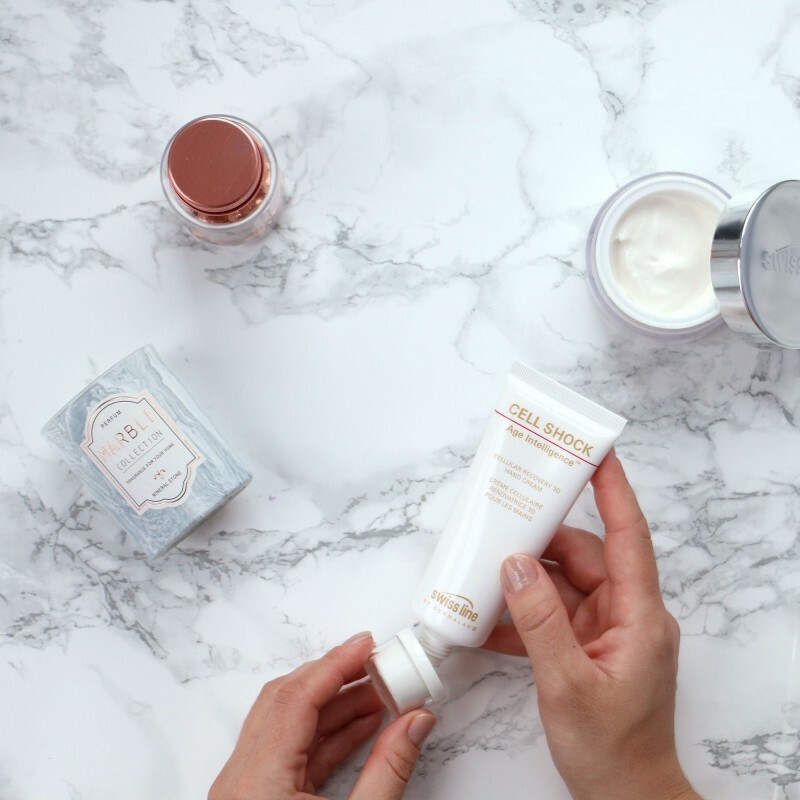 This hand cream is fabulous over winter months as it keeps my hands soft, the skin is nourished and I don't need to apply it as frequently as other creams. It has a light, very nice fragrance. I take it everywhere with me.